1.1 My Ooo Bear are committed to safeguarding the privacy of our website visitors, Facebook visitors and service users. 1.2 This policy applies where we are acting as a data controller with respect to the personal data of website visitors, Facebook visitors and service users; in other words, where we determine the purposes and means of the processing of that personal data. 1.4 In this policy, “we”, “us” and “our” refer to My Ooo Bear. 3.2 We may process data about your use of our website, Facebook and services (“usage data”). The usage data may include your IP address, geographical location, browser type and version, operating system, referral source, length of visit, page views and website navigation paths, as well as information about the timing, frequency and pattern of your service use. This usage data may be processed for the purposes of analysing the use of the website and services. The legal basis for this processing is our legitimate interests, namely monitoring and improving our website and services. 3.3 We may process your account data (“account data”). The account data may include your name and email address. The source of the account data is you. The account data may be processed for the purposes of operating our website, Facebook providing our services, ensuring the security of our website, Facebook and services, maintaining back-ups of our databases and communicating with you. The legal basis for this processing is consent or our legitimate interests, namely the proper administration of our website, Facebook and business or the performance of a contract between you and us and or taking steps, at your request, to enter into such a contract. 3.4 We may process your information included in your personal profile on our website, Facebook (“profile data”). The profile data may include your name, address, telephone number, email and address. The profile data may be processed for the purposes of enabling and monitoring your use of our website, Facebook and services. The legal basis for this processing is consent or our legitimate interests, namely the proper administration of our website, Facebook and business or the performance of a contract between you and us and/or taking steps, at you request, to enter into such a contract. 3.5 We may process your personal data that are provided in the course of the use of our services (“service data”). The service data may include your name, address, telephone number, email, address, embroidery details which may include, your child’s full name, date of birth, weight and time of birth The source of the service data is you. The service data may be processed for the purposes of operating our website, Facebook, providing our services, ensuring the security of our website, Facebook and services, maintaining back-ups of our databases and communicating with you. The legal basis for this processing is consent or our legitimate interests, namely the proper administration of our website and Facebook and business or the performance of a contract between you and us and/or taking steps, at your request, to enter into such a contract. 3.6 We may process information that you post for publication on our website, Facebook or through our services (“publication data”). The publication data may be processed for the purposes of enabling such publication and administering our website, Facebook and services. The legal basis for this processing is consent or our legitimate interests, namely the proper administration of our website, Facebook and business or the performance of a contract between you and us and/or taking steps, at your request, to enter into such a contract. 3.7 We may process information contained in any enquiry you submit to us regarding goods and/or services (“enquiry data”). The enquiry data may be processed for the purposes of offering, marketing and selling relevant goods to you. The legal basis for this processing is your legitimate interest.in one or more of our goods and our legitimate interest is the proper administration of our website, Facebook and business. 3.8 We may process information relating to our customer relationships, including customer contact information (“customer relationship data”). The customer relationship data may include your name, your contact details, child’s names, their date of birth, weight and time of birth and information contained in communications between us and you. The source of the customer relationship data is you. The customer relationship data may be processed for the purposes of managing our relationships with customers, communicating with customers, keeping records of those communications and promoting our products and services to customers. The legal basis for this processing is consent or our legitimate interests, namely the proper management of our customer relationships and the processing of your order. 3.9 We may process information relating to transactions, including purchases of goods that you enter into with us and/or through our website or Facebook (“transaction data”). The transaction data may include your contact details, your card details and the transaction details. The transaction data may be processed for the purpose of supplying the purchased goods and keeping proper records of those transactions. The legal basis for this processing is the performance of a contract between you and us and/or taking steps, at your request, to enter into such a contract and our legitimate interests, namely the proper administration of our website and business. 4.1 We may disclose your personal data to any member of our group insofar as reasonably necessary for the purposes, and on the legal bases, set out in this policy. 4.3 Financial transactions relating to our website, Facebook and services may be handled by our payment services providers, PayPal. We will share transaction data with our payment services providers only to the extent necessary for the purposes of processing your payments, refunding such payments and dealing with complaints and queries relating to such payments and refunds. You can find information about PayPal privacy policies and practices at https://www.paypal.com/uk/webapps/mpp/ua/privacy-prev?locale.x=en_GB. (a) Personal data will be retained for a minimum period of 1 Year and for a maximum period of 7 years following consent and purchase date. (a) the period of retention of personal date will be determined on business requirements. 7.3 We may notify you of changes to this policy by email or through the private messaging system on our website or Facebook. (a) Essential Cookies ‘strictly necessary’ in order to process your order placed using on shopping cart on our website. 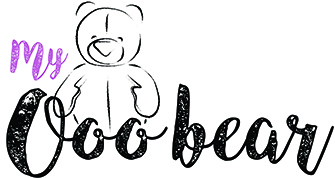 13.1 This website is owned and operated by Tessa De Moulpied the founder of My Ooo Bear. 13.2 Our principal place of business is at 31 Holtby Avenue, Cottingham, HU16 4BT.UK. (c) by email, using the email address published on our website from time to time. (d) by a contacting us direct on our Facebook page. 14.1 Our data protection officer’s contact details are: as above in section 13.